My reasoning stems from Ambrose being able to sell and emote in the ring with the best of today’s wrestlers, and his promo skills (from his choice of words to the context and the tone in his speech) are top-notch. 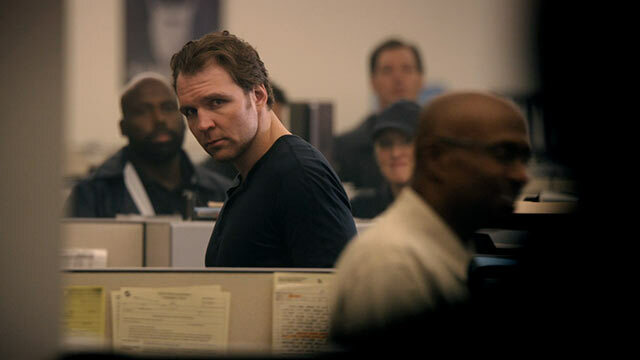 In the action-thriller “12 Rounds 3: Lockdown,” Ambrose plays Detective Shaw, who returns to active duty after the death of his partner. When he uncovers evidence linking his fellow officers to a murder, they frame him for a homicide he didn’t commit. Trapped in his own precinct, Shaw will do whatever it takes to expose the dirty cops and clear his name. With twelve rounds in the clip (SEE THAT ’12 Rounds 2′; something DIFFERENT & CREATIVE) and one shot at redemption, Shaw aims to let nothing will stand in his way. I am very much into this film, and if you want to check it out, “12 Rounds 3: Lockdown,” a joint venture from WWE Studios and Lionsgate, will be in theaters and on-demand September 11th.